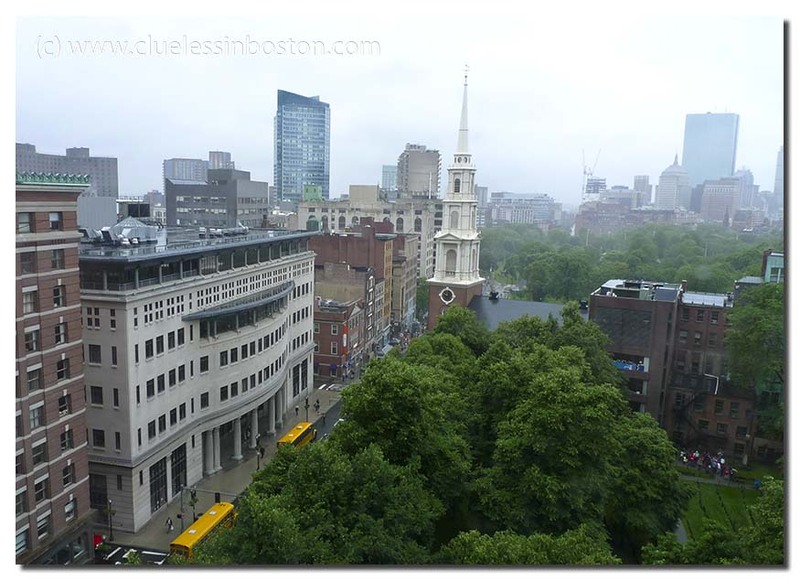 Looking down at Suffolk Law School and the Park Street Church. Great central point with the steeple, bright splashes of yellow,cool image nice work ! The diversity of your beautyful city in one click! shows so much diversity in buildings, park, traffic, I like it.. a lot ! I like that (now) small white and red brick tower!